Well I got it to sorta work using CK...took me a bit to learn! Haha ya, I found out how to play with the creation kit to change textures, took ages going "Why is it not letting me use this texture!?" until I realised apparently it has set textures or something (still haven't figured that out), but I removed all the crazy amounts of grass and also fixed a few gaps in the ground near the pool area. 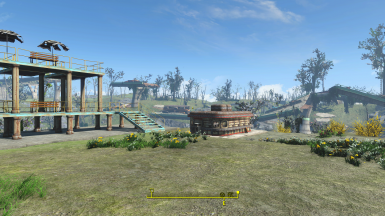 im really liking these mods you are making especially the slog and the castle. very good job. also, what is the grass mod you are using? Thank you! 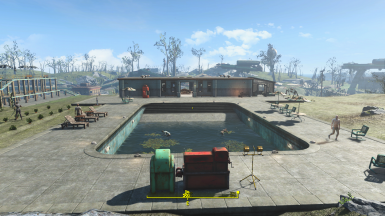 As for the environment mod, It is Fallout 4 seasons. There is a link in the description towards the bottom of the page. oh ok. i must have scrolled down so fast i didnt see it and saw more of your mods lol. thanks again and really appreciate everything you have done. The expanded build are does not seem to work properly for me. The green border expands out to the proper location, but the actual build area only expands partially...(about 1/2 of the diner is inside the build area, and only about 1/4 of the way down the river bank, in front of the golf ball hitting platform). I get the "exiting build zone" message, and get kicked out of workshop mode. 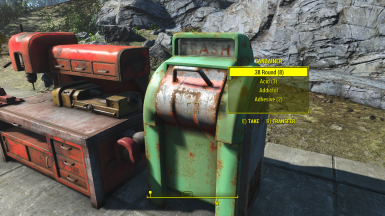 This is the second Slog expansion mod I have tried, and had the same problem with the other.... Leading me to believe there is some external conflict. Hey, I looked in CK and it looks correct. I tested in game with only this mod active and it works properly. So, I’m thinking that you have something that conflicts. Try changing the load order a bit to see if you can figure out what it is. Just tried it at the top of my load order, and at the bottom...no difference. Guess I'm going to have to try deactivating each mod, one be one. I will let you know if I find the conflict. Well now, I am always happy when I check up on the Nexus because Jenncave always has new goodies waiting for me from one week to the next. Quick question about the diner, did you do anything to it besides expand the border around it? 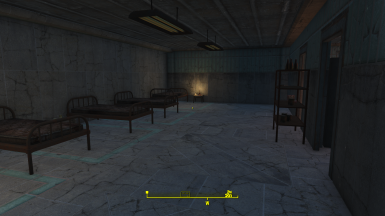 The reason I ask is because RedRocketTV has another home mod located inside the diner. 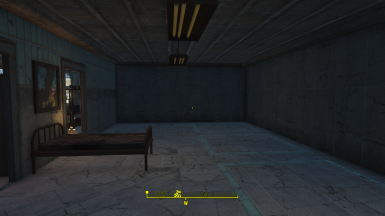 https://www.nexusmods.com/fallout4/mods/24457/? I cleanup the garbage, repaired the sidewalks and roof pieces. I also left the door unlocked but that’s all. I left the junk items, too. Excellent!!! You just made my day. Thank you so much for this. The work you have done with this clean up is a huge time saver for me! Keep up the great work! Another great time saver... You released this just in time for me to begin my Slog build. Thanks. Somerville looks great also. Unfortunately, I have already built that settlement. 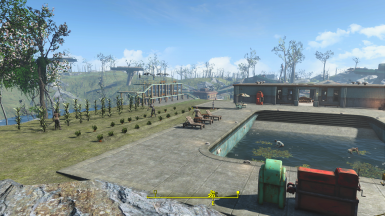 I love using your work because it works so well with Sim Settlements. Thank you! Cute pup in the pic, btw.